Missouri Akita Rescue View other Akitas for adoption. 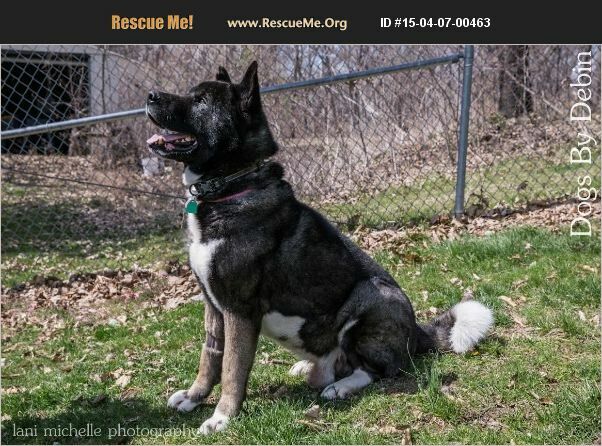 Nero is an 8 year old Akita that is about 80 pounds. Nero loves people and enjoys basking in the attention of all of his loyal followers. Some of his favorite things are going for walks, playing fetch, and relaxing outside and on his bed. He will need a 6 foot fence and will have to be the only pet in the house. Nero has lived with children in the past and done well with them. Interested? Please visit http://bit.ly/1m78fU5 to complete our quick online adoption application from your computer or desktop (not a phone). Nero's adoption fee is $200 & includes: Neuter, vaccines, microchip, deworming, a heartworm test & an offer of pet healthcare insurance for 30-days from adoption date. Thank you!